Country Files make the complex issue of water resources in the MENA region accessible to a wide readership. These files are enriched with visualised data on surface and groundwater, water quality, and water use, as well as the analysis of efforts to improve water management and governance systems. So far, the country files for Jordan, Israel, Lebanon, Palestine, Turkey, Iran, Iraq, Sudan, UAE, Oman, Egypt, and Syria were published, and the country files for Algeria and Morocco are in preparation. 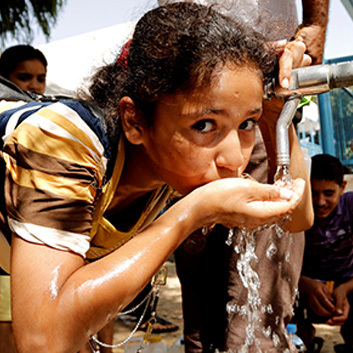 Special Reports focus on specific political issues, projects and technologies regarding the water resources in the MENA region. Similar to the country files, the special reports also include visualised data on the topic of the report. Interviews and Opinions address the water issues in the MENA region through interviews with experts and short opinion pieces on the latest developments. Contributions to Fanack Water are kindly invited.